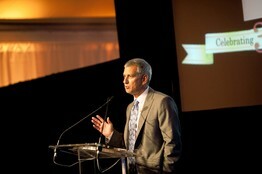 I hadn’t heard of the Greater Talent Network before I was invited to its 30th anniversary gala. And it took several more emails before I figured out what it does, and that despite being attracted to many of the celebrity names attending the party: Tom Wolfe, Michael Lewis, Apolo Ohno, Sir Howard Stringer, P.J. O’Rourke, Carl Bernstein, Pete Hamill, Mia Farrow, Jeffrey Toobin. The list went on and on. I finally figured it out: The Greater Talent Network is a speakers’ bureau, sending the famous, accomplished and merely amusing around the country to speak at things like college events and IBM conventions. The more I thought about it, the more I wanted to be one of those people. I could envision myself arriving at the Consumer Widget Convention in Las Vegas, getting picked up in a limousine, checking out the heart-shaped Jacuzzi in my suite, sharing life lessons with star widget salesmen, taking a few questions and then spending the next 24 hours gambling, or by the pool tanning, before pocketing a six-figure check and boarding the host’s corporate jet back to my normal life. Obviously, I wouldn’t do more than a half-dozen such gigs a year, because I’m a serious person and have a real job. But it would be fun to have people fawn over you once in a while, and I could certainly use the extra money. The problem is, I have no keystone achievement or spiritually ennobling crisis that would make widget salesmen want to model themselves after me. Nonetheless, I wasn’t going to let that stand in my way when the opportunity arose to sit down with Don Epstein, the Greater Talent Network’s founder and CEO, a few days before the big event. It’s always good if an interview has a higher purpose, if you get to knock around existential questions, and in this case I saw one staring me in the face: What would it take to get me onto his client roster? And often celebrities, I noted. By way of a promising prospect, he mentioned Ronan Farrow, who’d been in a couple of days earlier to meet with Mr. Epstein and several of his 22 agents. It’s sort of a casual audition: People sit around a conference table and the prospective client talks about himself and his experiences. The whole thing is taped. 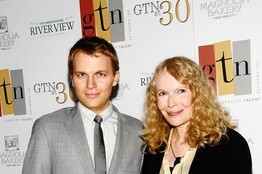 I was forced to admit I’d never heard of Ronan Farrow. It turns out he’s some sort of genius. He graduated college at 15. He’s a Rhodes scholar and, still only 25 years old, works in the Obama administration’s State Department as a special adviser. “He’s the leading authority on the youth movement in the world,” Mr. Epstein explained. I’d be lying if I said this kid’s blinding resume and Mr. Epstein’s 99% rejection rate didn’t throw me into something of a funk. Nonetheless, I pressed on in my efforts to persuade him to think of me in the same breath as Truman Capote, Jane Fonda, Jimmy Carter, Mia Hamm, Ben &Jerry, Chaz Bono, Candace Bushnell, former White House terrorism czar Richard Clarke and other cultural-icon clients past and present. I confided that I killed recently when I appeared as the guest speaker at an upstate Habitat for Humanity brunch. “Were you paid?” Mr. Epstein asked artlessly. I also told him about the time I was emcee of the Battery Conservancy gala before a crowd that included Police Commissioner Ray Kelly and former Manhattan D.A. Robert Morgenthau. That probably could have gone a little smoother. But when I wrote a column about my borderline panic attack, a reader suggested I try a beta-blocker. That’s the medication I was on at the Habitat brunch and it worked like a charm. So I’m good to go. There’s no reason to think I couldn’t sell out arenas. So I went to his gala, held in a party tent on the grounds of the U.N. I was hoping to buttonhole a few celebrities to see what they talked about, other than themselves. The first person to walk in was Mo Rocca, the “CBS News Sunday Morning” correspondent and NPR “Wait Wait…Don’t Tell Me!” contestant. A friend of mine, disappointed at my career trajectory, told me she once thought I could have been another Mo Rocca. I have a lousy short-term memory. So state facts are out. 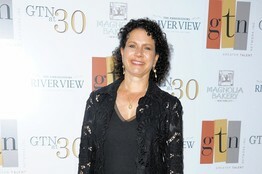 Susie Essman, the comedian and Larry David’s foul-mouthed foil on “Curb Your Enthusiasm,” told me that the Greater Talent Network wanted her to clean up her shtick when she signed on several years ago. “I felt that was a complete intrusion on my act,” she confided. In the meantime, she’s gotten married and gone through menopause. “I have all these things to talk about I can be clean about,” she stated cheerfully. As a matter of fact, she was heading out to Chicago in a few days to do just that before some Jewish organization.